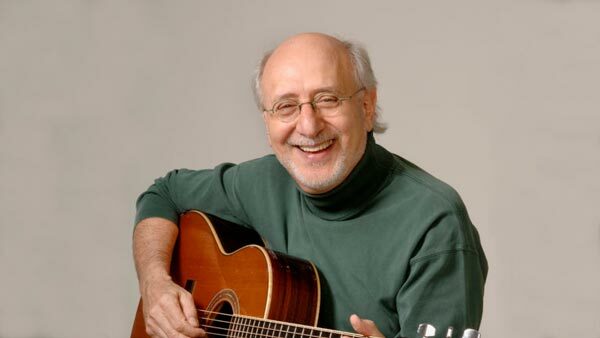 (TOMS RIVER, NJ) -- The Grunin Center for the Arts at Ocean County College will present An Evening with Peter Yarrow (of Peter, Paul, & Mary) on Friday, May 11 at 8:00pm on the Main Stage at the Grunin Center. Tickets are $30-$35. Legendary musician Peter Yarrow weaves a narrative of his life in music and politics, punctuating the major events with renditions of the iconic songs we all know and love. From his life in Greenwich Village in the 1960s, his connections to Bob Dylan and Pete Seeger, to his career as part of the trio Peter, Paul, & Mary, Yarrow shares a part of American history influenced heavily by music. Yarrow creates community within his audiences through his reflections in both words and music. Purchase Tickets online grunincenter.org, call 732-255-0500, or visit the Box Office, Monday to Friday, 10:00 a.m. to 5:00 p.m.Prices, dates, times, performers, and shows are subject to change. Grunin Center is located on the Main Campus of Ocean County College on College Drive in Toms River, NJ. Please use Parking Lot #2.